This photo appeared in the Forest Town Crier Community Newspaper in December 2004. 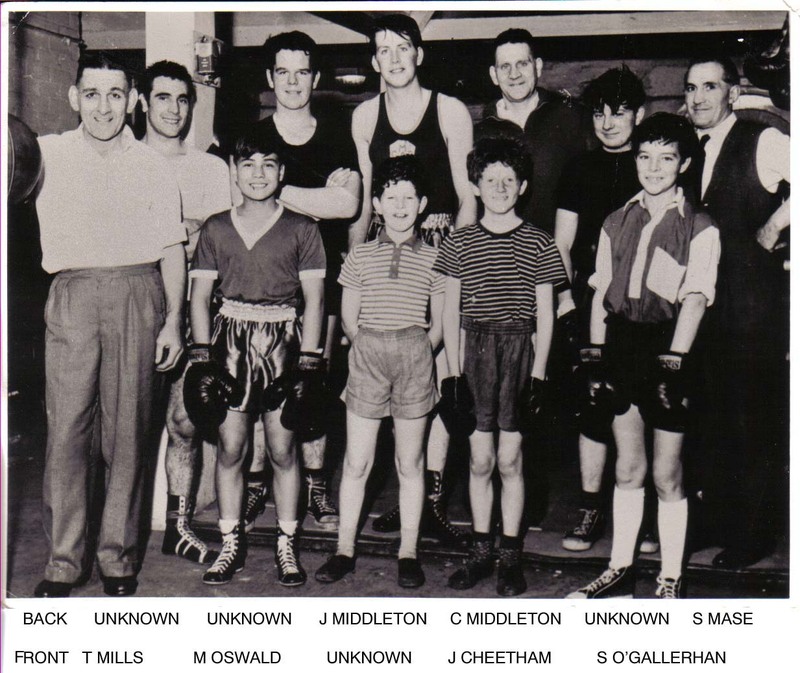 …the Boxing Club was attached to the side of the old Welfare, and many a Sunday morning saw the men watching the training before the club opened at 12 o’clock. I have named those I can remember, can you please help with the rest.